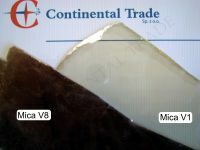 Mica blocks (sheets) - Borosilicate and quartz glass, mica, sealing, level gauges, armature - Continental Trade. There are almost unprocessed form of the natural mica. They are simply sheets of mica extracted from the mine, cleaned and sorted by size and quality. Mica blocks in the trade are in a form of irregularly shaped sheets with different thicknesses and different qualities. 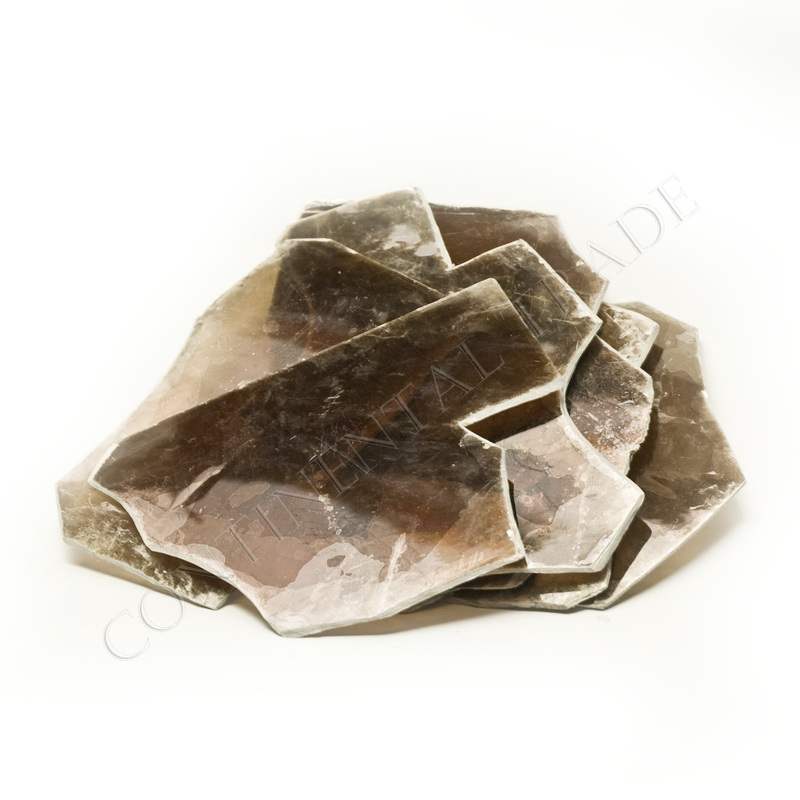 Quality class of natural mica define its transparency, limit the amount and type of pollutants. Smaller amount of impurities and discoloration, the higher value (and price) of the mica sheet. 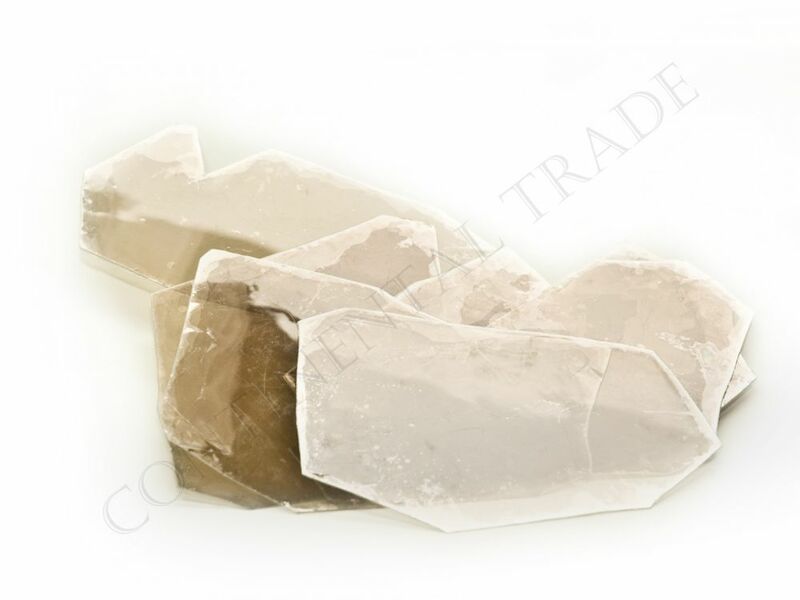 In accordance with the standards proposed by ASTM (American Society for Testing and Material) and stored in the form of a Standard D 351 Classification for Natural Muscovite Block Mica and Thins Based on Visual Quality distinguished grade from V1 (highest) to V10 (the lowest). Mica with quality class V1 is often called as collectable mica (see below). Mica quality standards are discussed here. Sizees od mica sheets have also been standardized. Distinguished by the size of the category OOEE Special (highest) to No. 6 (smallest). Classification of the size of the mica blocks is discussed here. When increasing the size of the mica sheet (higher category), is also growing its unit price. Highest quality mica (class V1) is called the collectable mica. It is the most expensive, but almost devoid of blemishes (occlusion), discoloration and contamination. It is often purchased by research institutes and laboratories. 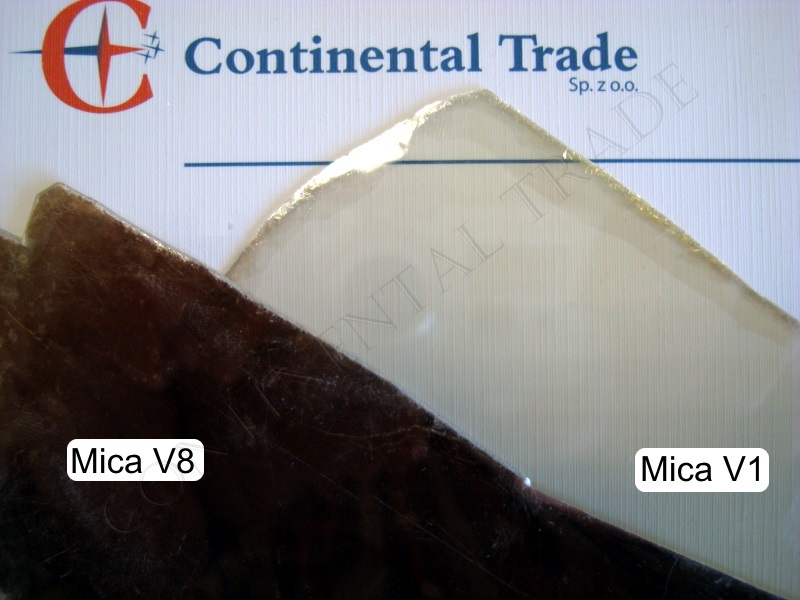 The picture on the right shows the comparison of mica V1 and V8. 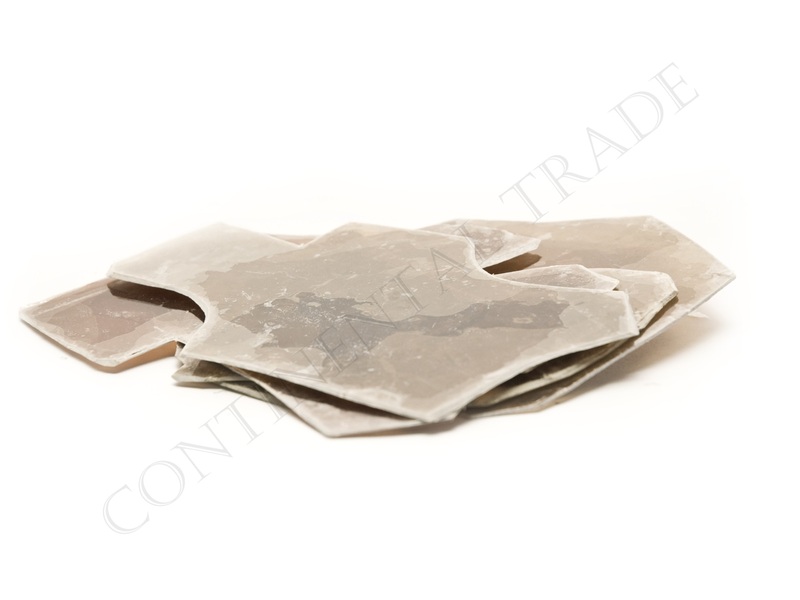 Mica blocks are usually sold in situations where standard shapes of natural mica ie. 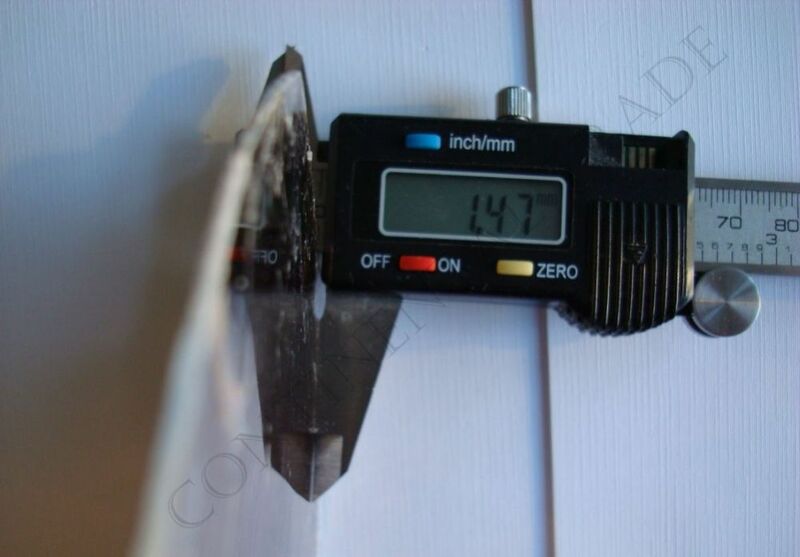 shields, windows, discs do not meet the requirements of customers in terms of size, quality or thickness. 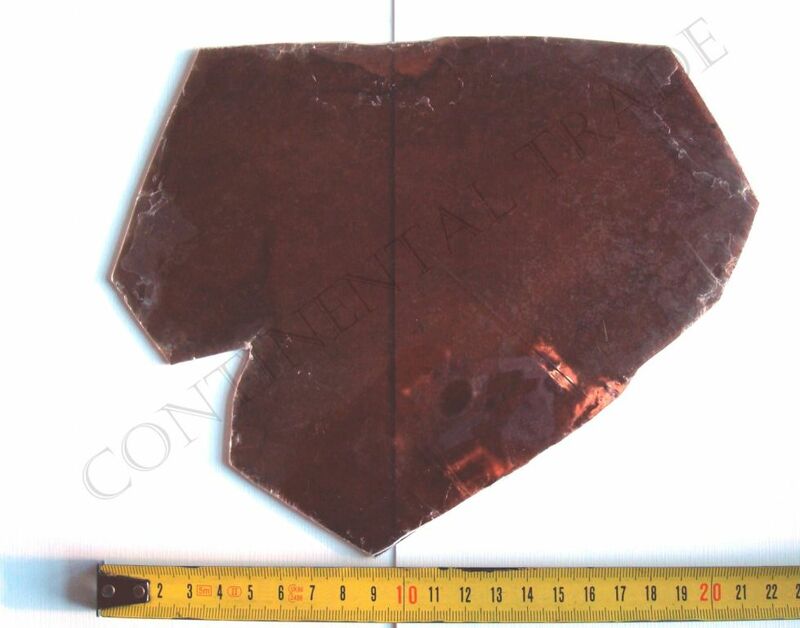 In this case, we search for the smallest sheet of mica, which includes the required size of the plate and meets the other requirements of the order. Mica block is sold by weight. Price depends on the quality class and the size category. Plate thickness directly affects its weight. We usually offer mica plates with a thickness from 0.1 mm - up to 1.5 mm and dimensions in the category from No. 2 to No. 6 in all classes (including collectable mica Class V1).